Choose from a wide range of fully-customisable indoor & outdoor car covers - carefully tailored to protect your Lamborghini from accidental damage, outdoor elements and general wear. The Italian luxury sports car is one to be admired and adored. The Lamborghini, with its rich history, is a car that has been turning heads for decades. Exciting and exotic, sleek lines and innovative design make the marque instantly recognisable. Specialised Covers is proud to have been protecting some of the world’s most stunning and prestigious cars for almost forty years. Exceptional service, coupled with the quality of our tailored covers, is synonymous with the world-class vehicles we design and produce covers for. Whether you keep your Lamborghini outdoors, or stored away when you're not making the most of it's performance, our covers, produced from superior fabrics, are made to fit perfectly. Tailor made, and certainly not 'off the shelf', our covers are carefully designed and manufactured in our Yorkshire factory. We're a family company with a rich heritage, and a passion for superior car protection. If you need defence against the elements, our Stormshield outdoor car covers offer multi-layered waterproof, breathable protection, whilst our fleecy Prestige indoor covers provide defence against dust, as well as knocks and scrapes that can happen. Contact us our expert team for more advice on which cover is right for your Lamborghini. 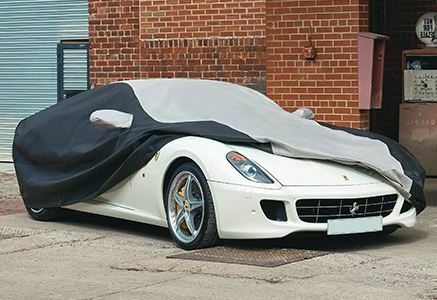 Our Stormshield range of car covers offers unveiled tailoring and protection. All our materials are waterproof and breathable with a non abrasive inner lining. Protecting you car from both the elements and unwanted attention. If you can't find you car in our database then please contact our sales team to discuss your options. 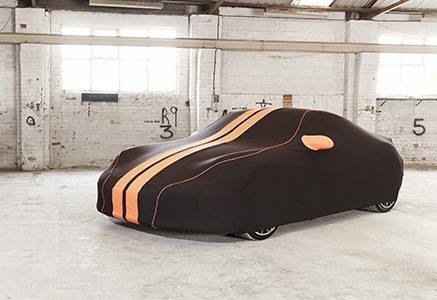 The Prestige indoor car cover range offers you a spectrum of colours and options to select from. This fully bespoke cover can be in your teams favourite colour or have your own family crest the choice is yours. With contrast piping and and racing stripes there are no two covers the same. Make it unique with Specialised Covers. Our Prestige range of Indoor motorbike covers are only available for sports bikes only. If you require an indoor cover for another style of bike please contact our customer service department. The covers can be fully customised to your specifications.